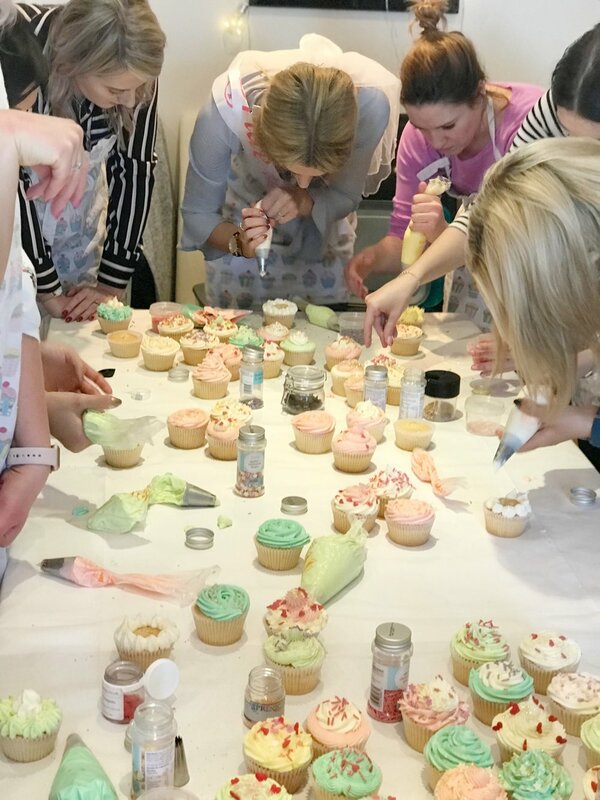 Emilys sister Rachael did a fantastic job getting 20 of her nearest and dearest to Londons Sloane Square for a fab cupcake decorating hen workshop. 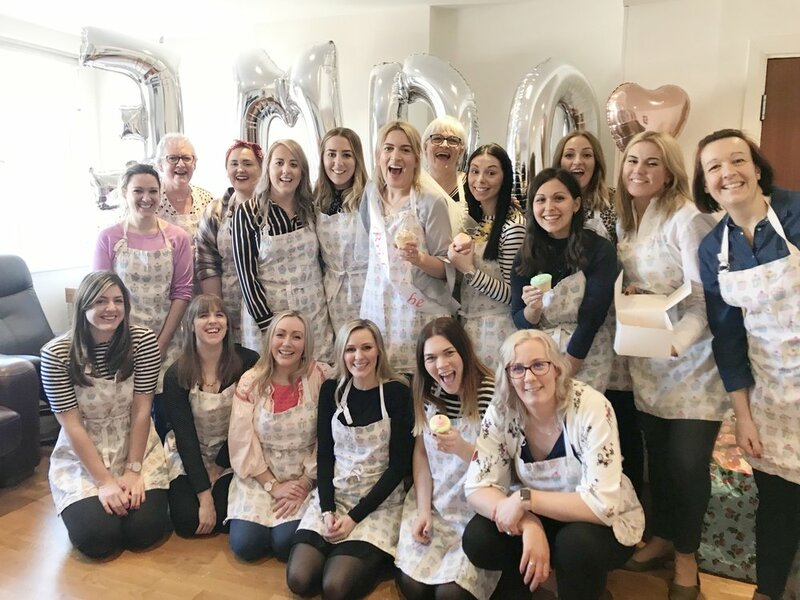 They had come all the way from Stoke to celebrate Emilys hen day in style in London. 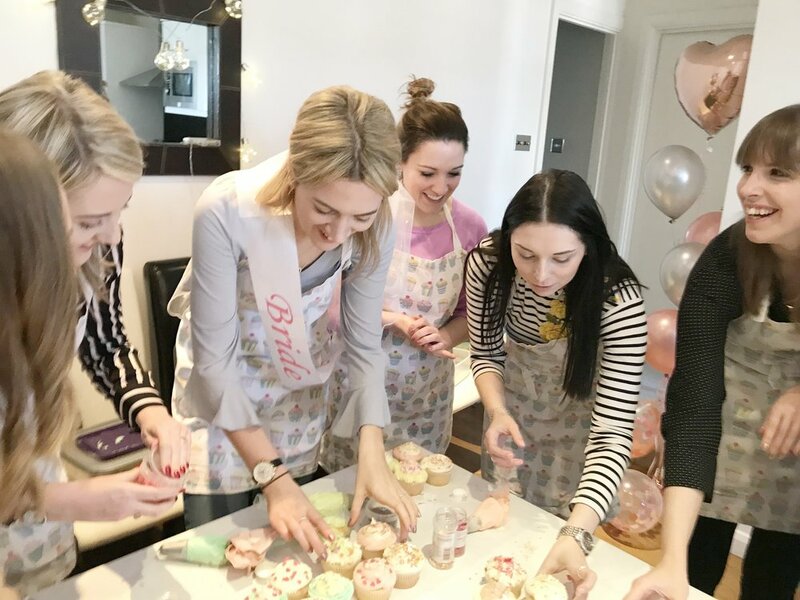 Instead of staying in hotels they had the genius idea of booking into a serviced apartment building to celebrate the hen night. 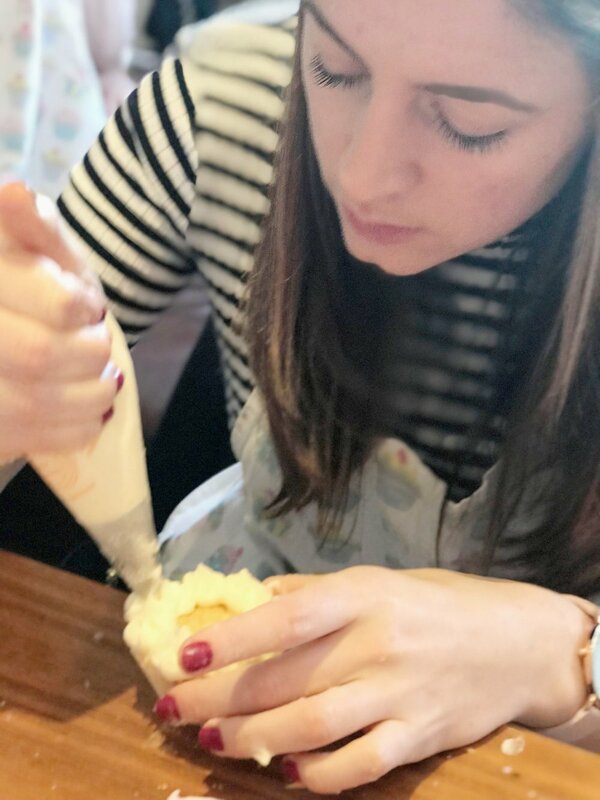 That meant not only could they make there own meals but they also had space for me to host a cake making hen party there. The girls were from a variety of professions including police officers, teachers and bankers. They got the hang of the hen activity quickly. 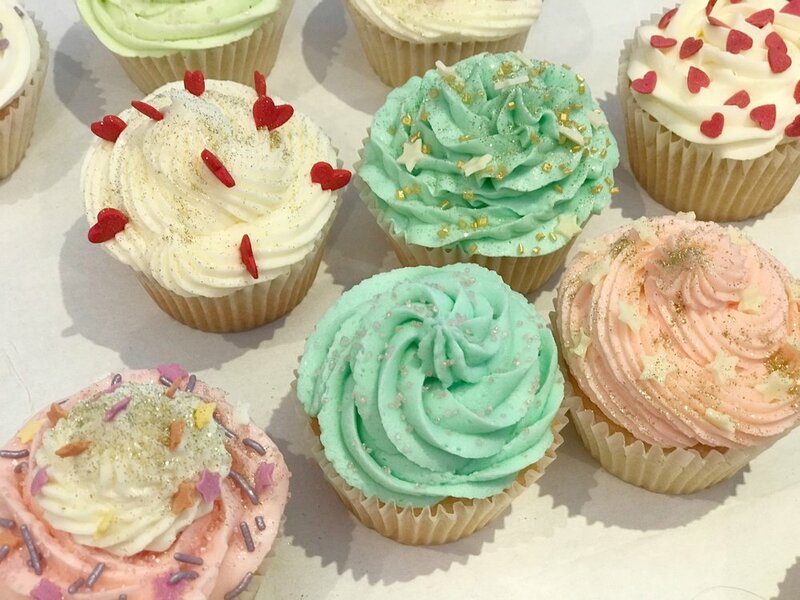 They perfected the swirl piping techniques and were soon decorating to a professional standard. 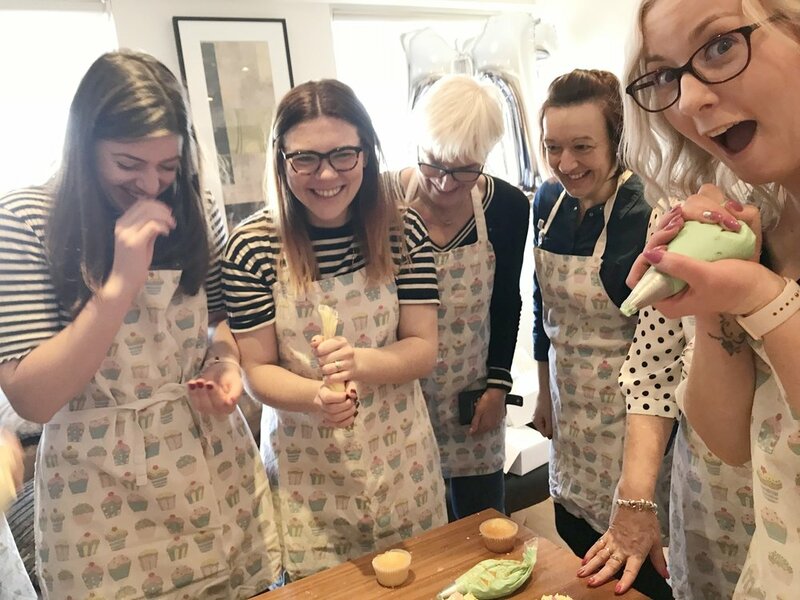 They were such a fun group of hens and there was a lot of hilarity involved and even a little bit of accidental cupcake sabotage. 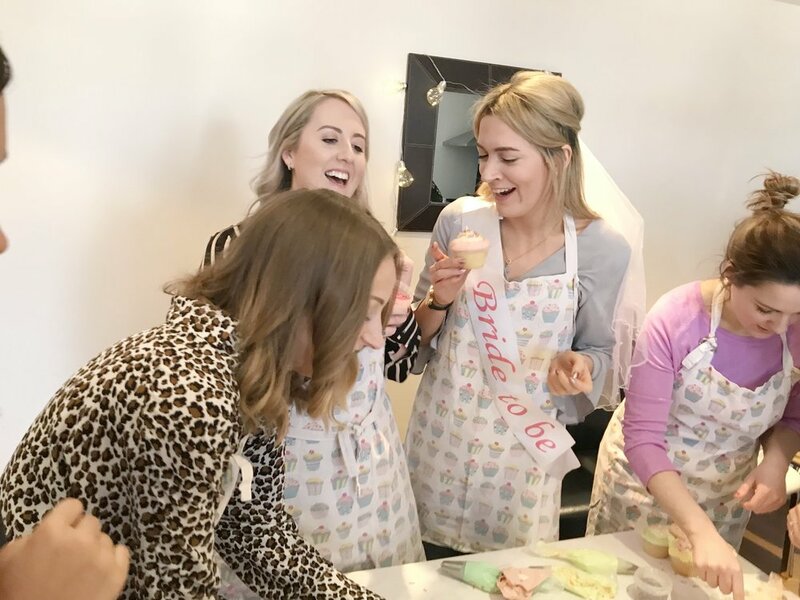 They all had the most fantastic hen day and the ladies were over the moon with the end results of their cake decorating efforts. 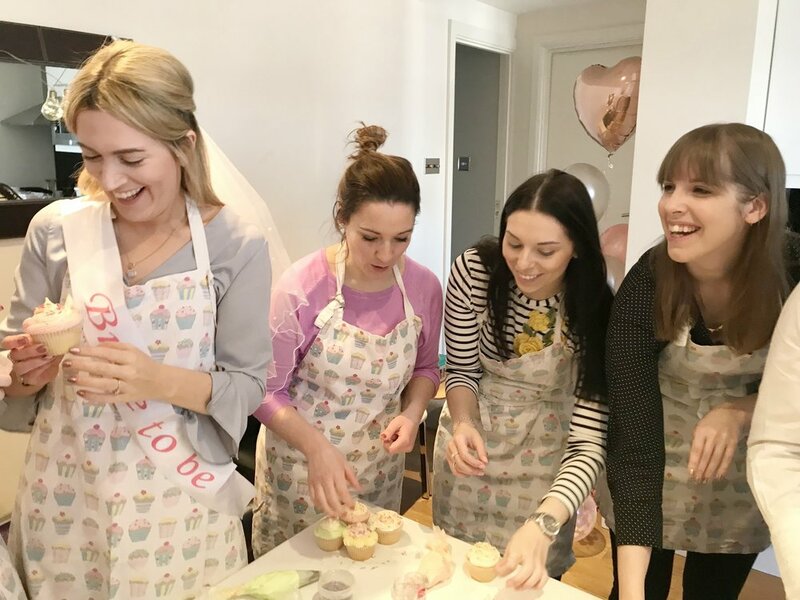 When I left the hen party was continuing as they were on their way to get blow dries before their big hen night out. They were certainly making the most of their trip to the capital.